Free games are not available at many casinos, but if they do offer this great option, players will definitely play at them. Playing Free games at online casinos pretty much means that you are playing a Game with no real money, e.g. no strings attached. Although there are some casino that do offer layers Free blackjack and roulette games, most casino will only most likely give players Free play at slot machine games. Due to slot machine being the most popular online casino Game. What are Free Slot Games? What playing for Free technically means is that players is able to “try out” a slot game for a trial period and see if they like it before they have to play and bet real money. These games are sometimes called “Demo” or “practice”. Part of the Cosmo Gaming Company and formerly known as Casino770, NetBet Casino offers players an amazing variety of games. Whether players want to try their luck at Jackpot games, Slots, Roulette, Video Poker and Blackjack, the casino will definitely supply it all. What distinguishes Netbet from other casinos is the fact that ALL their games can be tried in Demo mode. 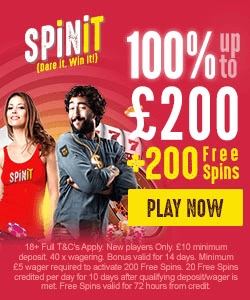 They have such a large and extensive range of games that can be played in Free mode that players will definitely want at sign up at the online casino. Below is a list of just some of their widespread range of Demo games. Compared to their actual land based casino, Hippodrome literally goes all out to give players an amazing time that will leave them jaw-dropping. With more than over a hundred online casino game title which include roulette, Blackjack and the all time loved Progressive Jackpot, Hippodrome is definitely a number one destination. Another great aspect of Hippodrome is that all of their game can be played for fun. Whether players are in the mood for some European Roulette Gold or The Tomb Raider 5-Reel Slot, Hippodrome will deliver. Gamble Aware aims to promote responsibility in gambling. They provide information to help you make informed decisions about your gambling. Call the National Gambling Helpline: freephone 0808 8020 133 from 8 am to midnight, 7 days a week.